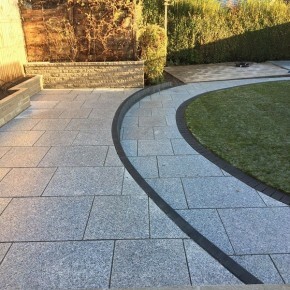 Truly modern looking Black in granite with flaming texture on top. Natural black, silver and white dots are formed from the flaming which blend in beautifully to give it a very sophisticated look. The colours are only a reference and because of the nature of natural stone, there may be slight colour variation with tones and patterns. Black Granite 600 Series 4 Mixed Sizes Machine Cut - Granite is the hardest natural stone and most durable. 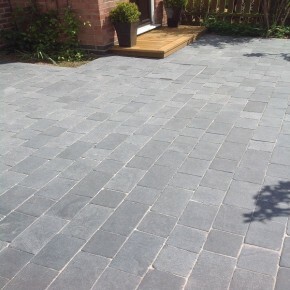 A modern and contemporary black colour with natural texture on top that can instantly add a character to patio/room. 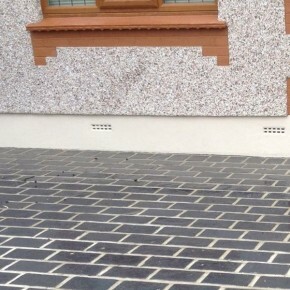 It gives a very neat and sophisticated look after its laid. It undergoes a flaming process (i.e) slabs get blow torched on a very temperature to give it a texture on top so it is slip resistant. They can be used both internally and externally. 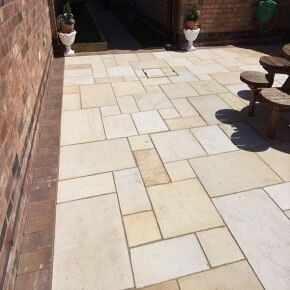 Our Natural Stone is high quality for your Patios, Garden Paving and Landscaping Projects from Direct Importers. 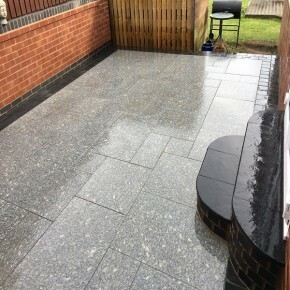 All our products are suitable for British Weather conditions and they are frost resistant. We can also do Split Packs to match you exact meterage so you don't need to order extra and waste it - Split Pack Fee Applies*.